Heading to see U2 at Soldier Field tonight in Chicago? Then you’ll want to check out this exclusive behind-the-scenes look from Chicago Tribune. 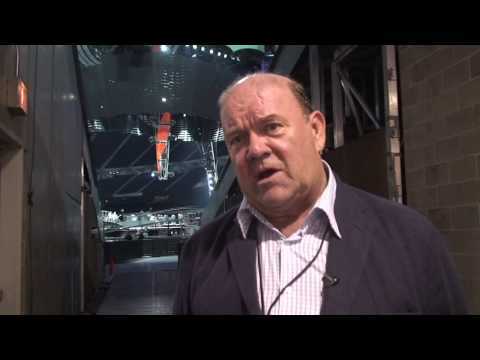 The video takes a look at the “The Alien Space Ship/Claw” stage set up for U2’s 360 tour. The stage is designed to make the outside concert environment more intimate and make Solider Field smaller by bringing the show closer to the fans. And hopefully it will also add more intimacy and meaning to U2’s latest album No Line on the Horizon. The album can use all the help it can get because watching these videos about the stage set up is almost more engaging than the album itself. But I’m hoping that U2’s strong reputation for a transcendent live show filled with grandeur holds true for fans tonight. Let’s also hope the Claw’s intimate design pushes the songs in the direction they need to go and makes them come alive better than they did on the Horizon. You’ll also want to check out this Chicago Tribune post for more info on the stage. It’s pretty impressive. If you’re heading to the show let me know how it goes and drop a comment about your experience. To complete the picture, here’s a time-lapse video (one of many on YouTube) showing the stage’s deconstruction from a show earlier this year.